Chemistry is important. I’ve written about this before here. 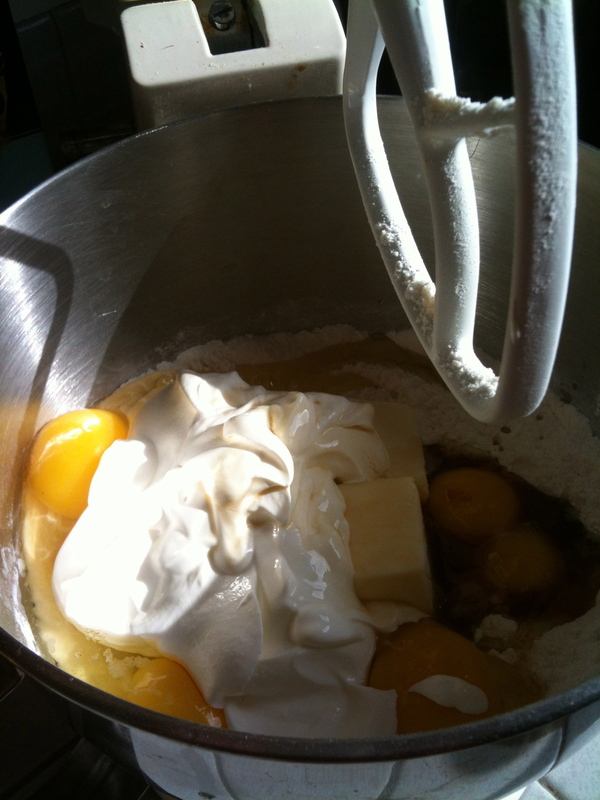 I like to watch whipped butter lighten or sugar transform. But this year, around M’s birthday, I was busy. 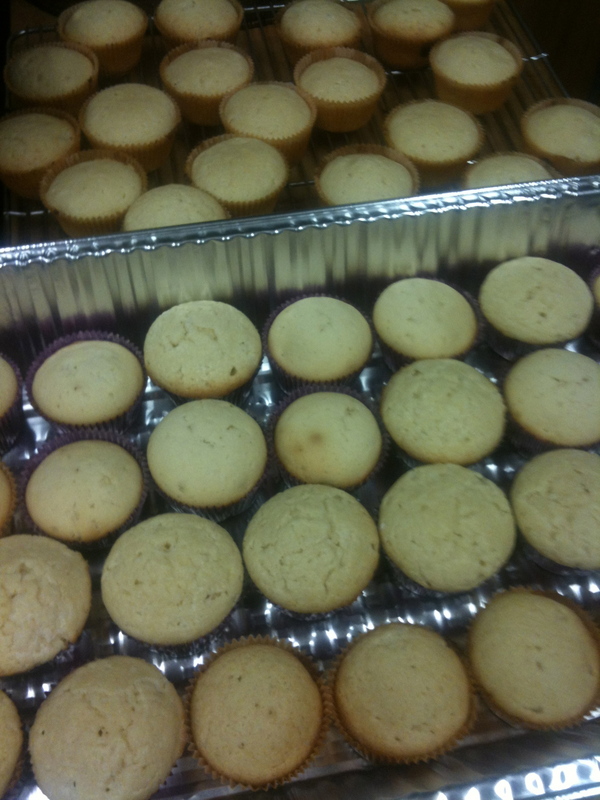 I found one cupcake recipe that sounded good but called for three sticks of butter for twelve cupcakes. Uh… and it took an hour of prep. So I turned to Cooks Illustrated, where after “much testing,” they dumped all the ingredients (and just 1 stick of butter) into a kitchen aid and mixed for 30 seconds. Voila! as they say. Then I doubled the recipe (again) and made another twenty-four. I had picked out this lovely butterfly pattern for decorating but M overruled me (she’s about to be 6). She wanted Backyardigans and Backyardigans only, which meant a Backyardigans ring set in the middle of green (like a backyard) frosting. 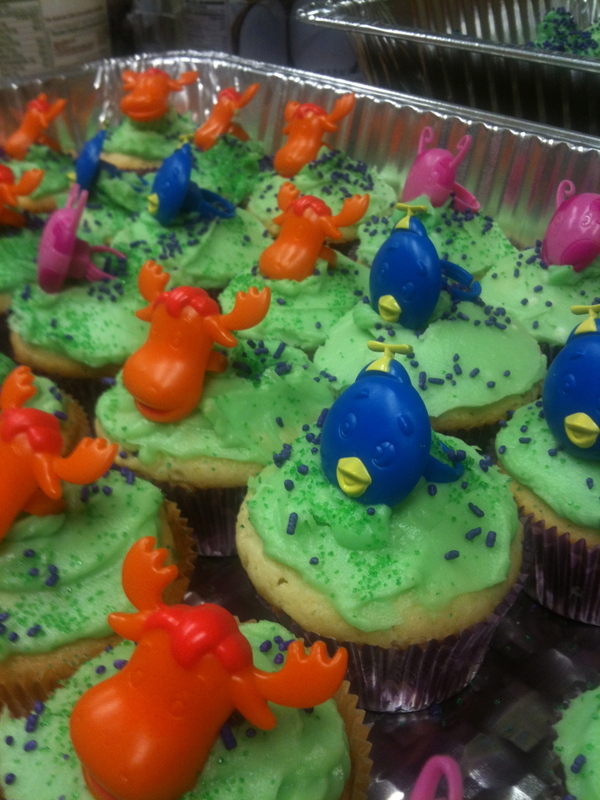 I got to add the dark green sugar and purple sprinkles. And that’s what it was. I’ll post the recipe shortly. And here’s the frosting (minus the lemon zest) + food coloring.